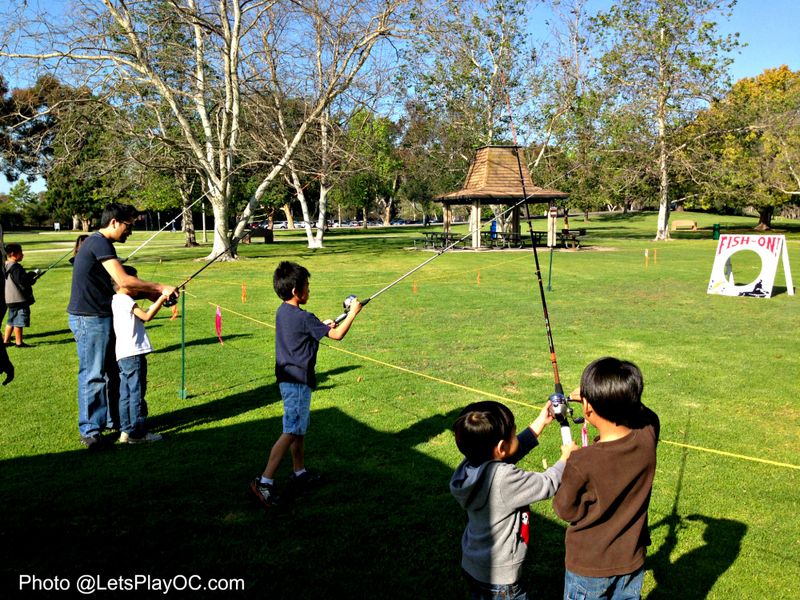 FREE Kids Fishing Derby - Mile Square Park in Fountain Valley! - LET'S PLAY OC! Have you taken the kids fishing? Not sure if they will love it? 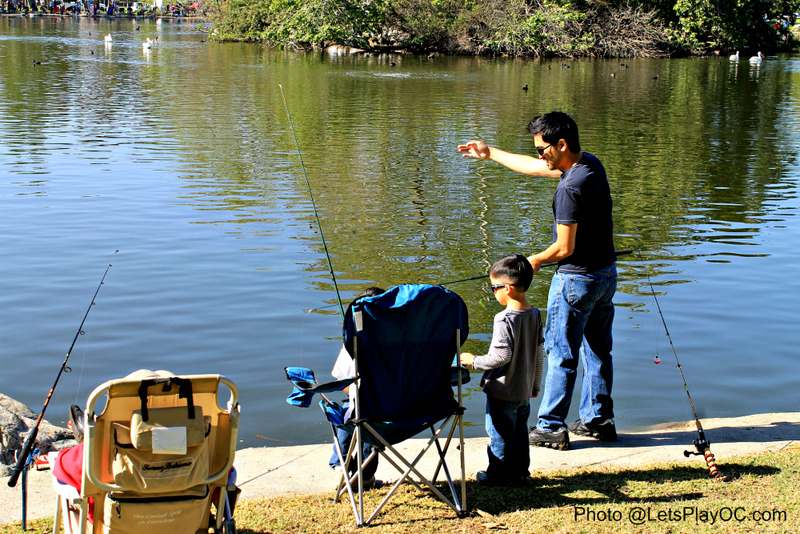 Well, take the family and try it for FREE at the annual Kids’ Fishing Derby at Mile Square Regional Park on Saturday, March 2nd! We went a few years ago and had a great time. Register for the free event from 7:30 a.m. to 8:30 a.m. and enjoy the derby from 9 a.m. to 12 p.m. It gets really packed really fast so you’ll want to come early to claim a good spot. The North Lake will be stocked with more than 1,000 trout and catfish for the derby, and there will be a limited amount of fishing rods available for loan. Participants can learn fishing tips and tricks during fishing clinics, and food will be available for purchase. 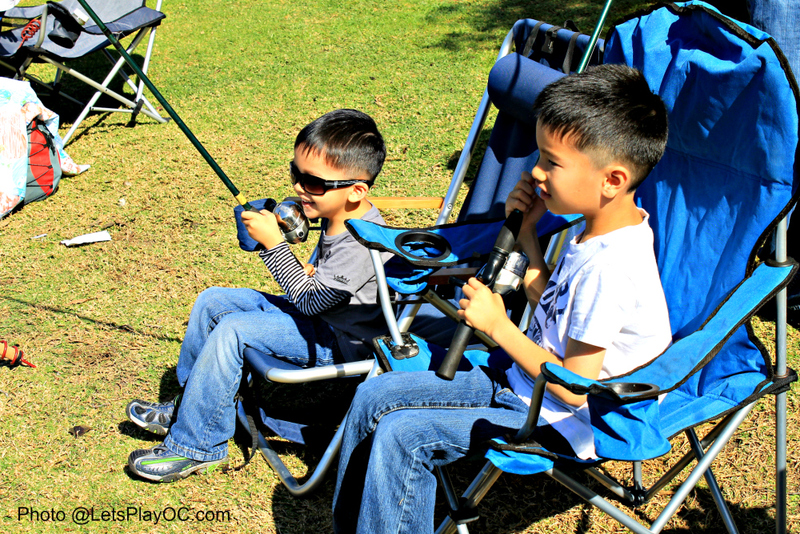 Thanks to OC Parks, California Department of Fish and Wildlife, and Angler Chronicles, kids ages 6 to 15 can learn about the sport of fishing, fish for free, and compete to win multiple prizes for finalists and champions in different age groups. The kid with the overall winning catch will get his/her name inscribed on the legendary Mile Square Fishing Derby Trophy. 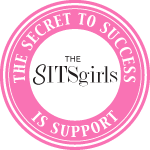 They supply everything for the children – the poles, bait, and fishing tips too! Adults, bring your own! Food will be available for purchase. 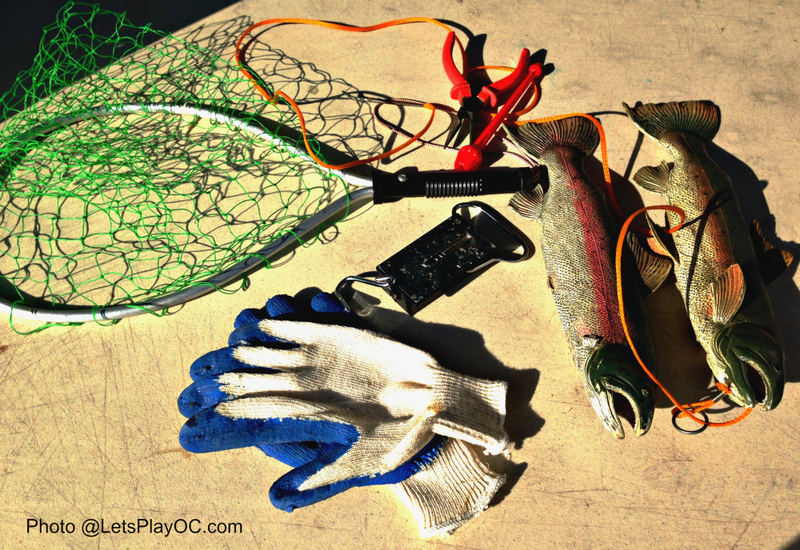 Join OC Parks for a fun-filled day of friendly competition and fishing at Mile Square Regional Park. NOTE: A limited amount of kids’ fishing rods are available on loan for free, but you’ll have to leave an ID, and you’ll have to visit each fishing clinic station first. The interactive clinics are there throughout the event. 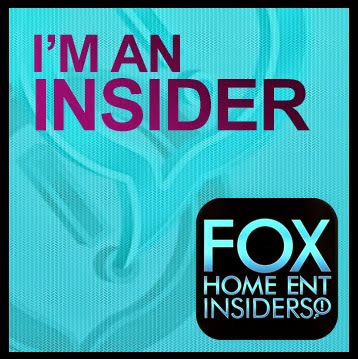 I thought they were educational and fun! Fishing clinics are a great way to learn about the sport of fishing. Children will learn fish anatomy, how to handle the different types of fish, the different types of bait, how to bait a hook, fishing ethics, fishing safety, and how to cast a fishing rod. They even have an area where you can practice! ID if you plan to borrow their fishing rods. Fishing Gear for adults if you have it. 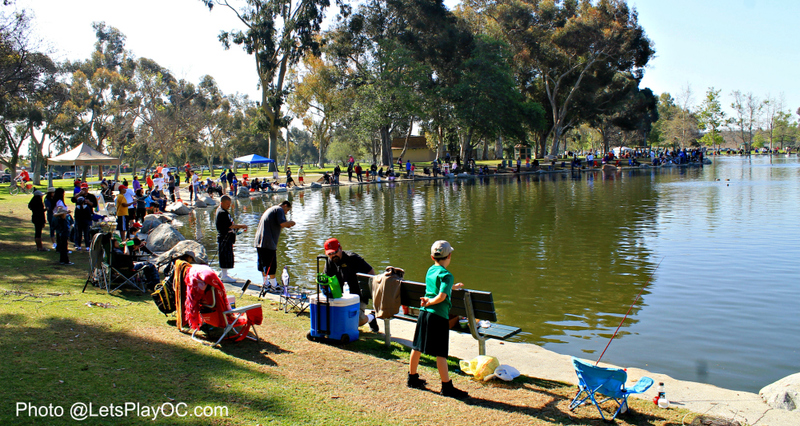 Join OC Parks for a fun filled day of friendly competition and fishing! My kids have been asking to go every year. They also do an annual one at Carbon Canyon in May and Irvine Regional Park in November. 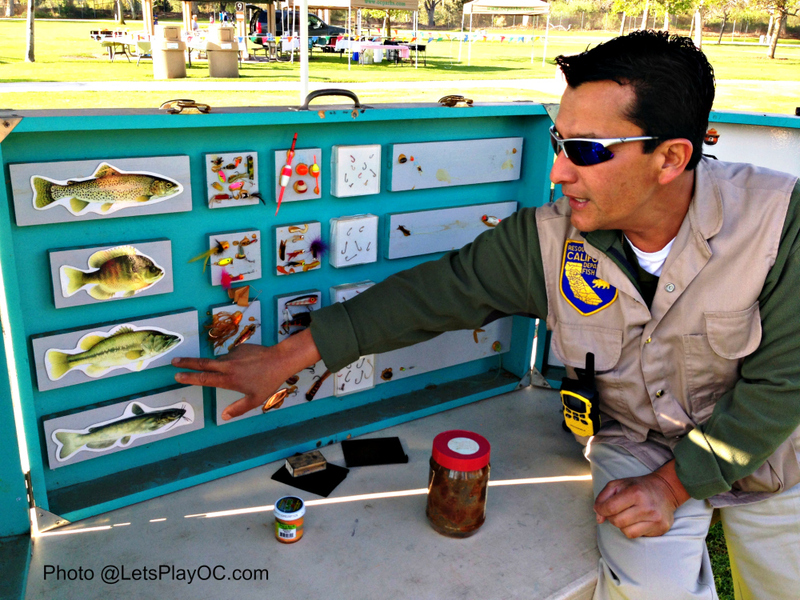 You can also check the OC Parks 2017-2018 Fish Stocking Schedule by Week on their website at www.ocparks.com! Special Instructions: Kids ages 6 to 15 fish for free at the Fishing Derby and compete to win prizes for finalists and winners in different age groups. Lake stocked with trout or catfish. Fishing clinics will be held on-site. Limited quantity of fishing rods available for loan.